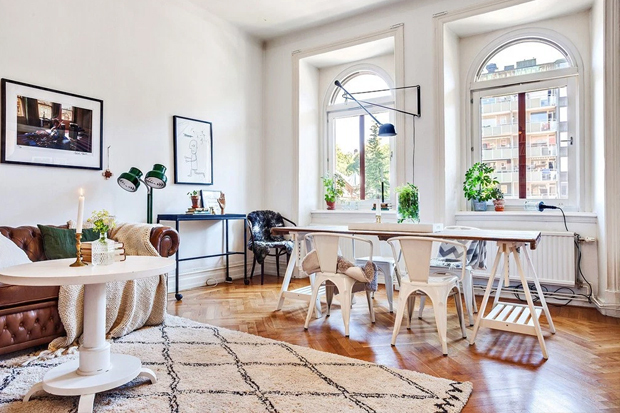 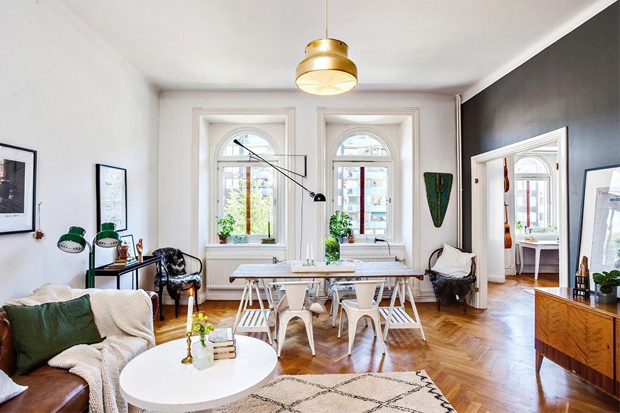 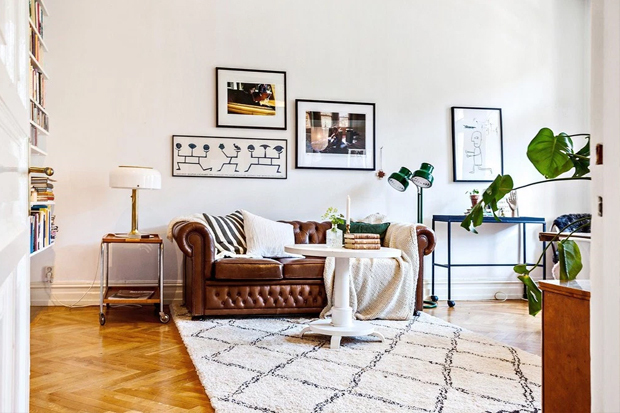 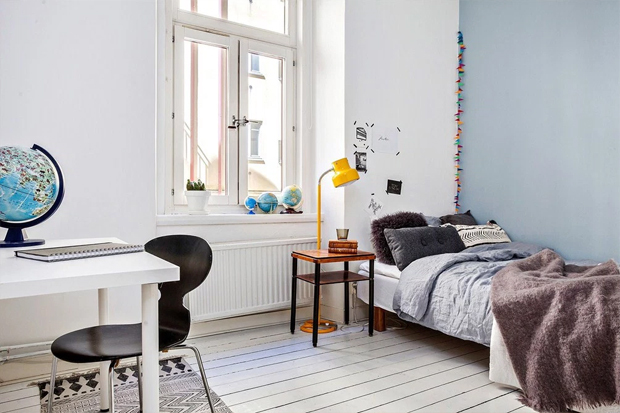 Stylish mix of bohemian style mixed with Scandinavian design. 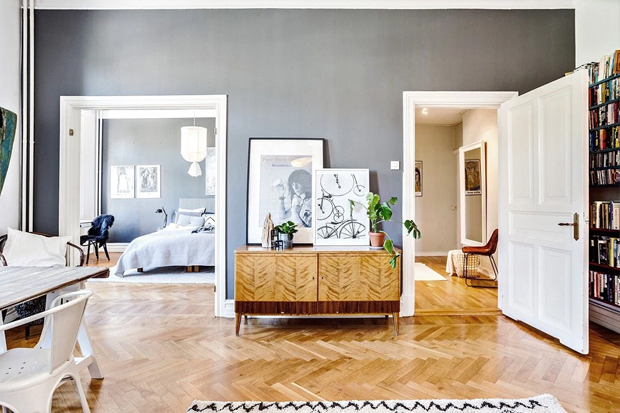 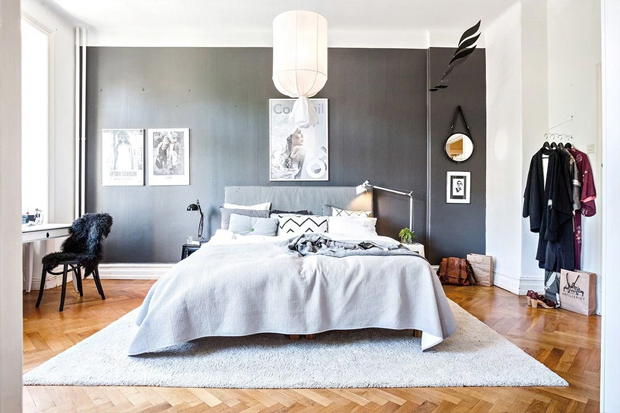 Herringbone floor, chesterfield sofa and other classical stuff provides the bohemian, luxury element, while chairs from Jacobsen, Tolix chairs, black painted walls and retro lamps are adding the Scandinavian and modern look to the place. 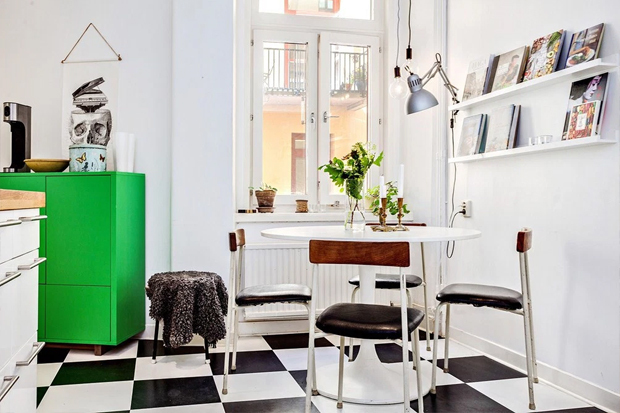 The result is a great and interesting place with a fantastic vibe.